Don’t remember me as too nice or beautiful or funny, because then you’ll be disappointed. I’d have liked to have leant against walls in thrillers. There may be a better one somewhere, but I haven’t caught her at it. 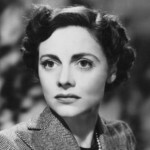 Celia Johnson was born in Richmond, Surrey, England. She was an English actress. She began her stage acting career in 1928, and subsequently achieved success in West End and Broadway productions. She also appeared in several films, including the romantic drama Brief Encounter, for which she received a nomination for the Academy Award for Best Actress. She appeared in In Which We Serve and This Happy Breed, both directed by David Lean and written by Noël Coward. In 1957 she acted with Ralph Richardson in The Flowering Cherry. For her role in The Prime of Miss Jean Brodie, she received the BAFTA Award for Best Actress in a Supporting Role.